See Events Page for details. 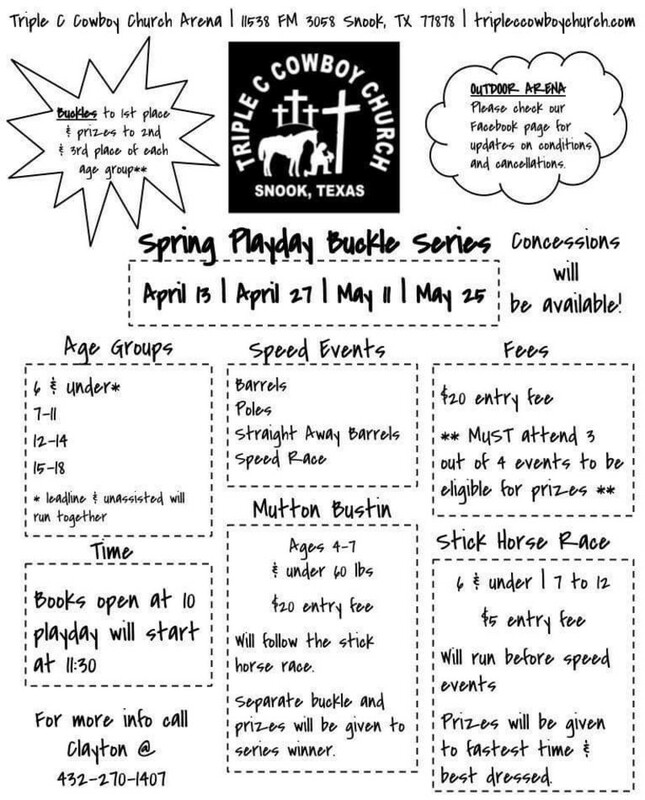 Speed Events, Mutton Bustin', Stick Horse Race. 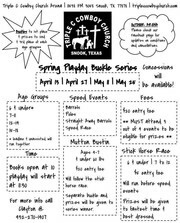 Events for age groups 6 & under, 7 thru 11, 12 thru 14, and 15 thru 18. Friday Game Night for children ages 4 and up. Bring the kids out for fun and games and fellowship with their peers. 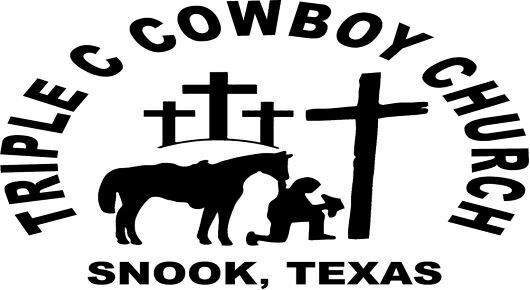 All are invited to join us for worship services, to celebrate our Western Heritage and to share the love of our Lord and Savior, Jesus Christ. The kids had a wonderful time at the first event. Check out the photos! Be sure to come out and support these events. We will have a concession stand to help fund our youth's summer trips and will be offering donation based Fried Fish plates for lunch this day. You can also become a sponsor. See the Arena Team page for details! From 6:00 p.m. to 8:30 p.m. The Arena Rule Book is now available. You'll find it under the Arena Team section. VACATION BIBLE SCHOOL at TRIPLE C!!!! 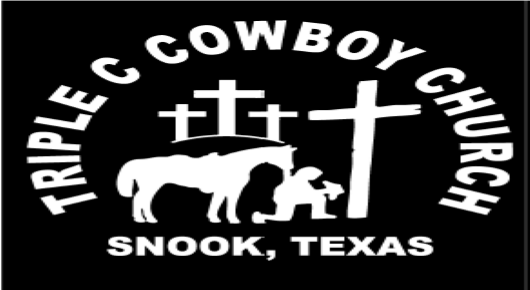 Triple C Cowboy Church VBS is scheduled for July 21st - 24th (Sunday - Wednesday) from 6:00 p.m. to 8:30 p.m. Wednesday will be Family Night. We will be serving dinner every night at 6:00 p.m.
Ages Pre-K to 6th grade are invited to attend. We will need volunteers to work VBS! And volunteers to bring dinner and desserts each night. Please see Kristy and Wayne Manchaca or Michelle Gray to sign up to help! We have poured the foundation for the addition on the church. Come by and see what's going on at Triple C!